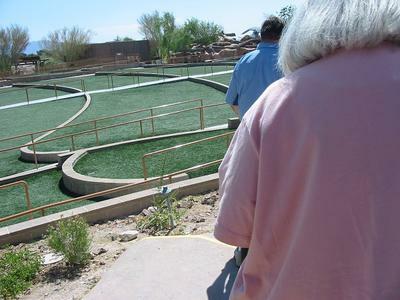 Visitor Submits: I just wanted to point out that many communities could make a splash by changing some forsaken slope or low spot into an amphitheater. Our community has been debating this as a community improvement project, so I went through my travel photos and also some belonging to my adult children. I found some good examples that I wanted to share with the committee working on this, and that I thought would be good to share here as well. The value proposition of the amphitheater is that it is an interesting but possibly inexpensive gathering space. 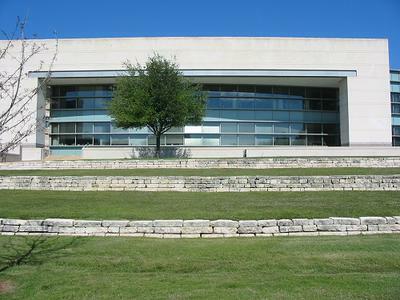 When my family went to the Bush (41) Library in College Station, Texas, we saw an example of one that is used for giving talks to tourists. That is in the picture I'm sending that has the building in the background. Some others are mostly for music or maybe even live theatre performances. It seems like some of the places we have been the amphitheater really doesn't have a function as such, but it looks pretty like the one in the photo I'm sending that is mostly just grass in Indianapolis. If we can figure out how to pay for it, we would like to do one like the Arneson River theater in San Antonio, which is near where we live. It's the photo that shows the concrete or rock steps with little strips of grass that people would sit on. This seems like it would last quite a long time, but the idea of having to weed whack the grass all summer is kind of holding us back. So it could be the Bush Library one is a better example for us. The other photo I am attaching has the very wide steps between the levels, with the curved steps. That one is from Las Vegas. My daughter said she couldn't remember or didn't know what it is used for, but she remarked that this wonderful-looking grass is actually artificial turf. As they say, who knew? If you have any advice for us, I would appreciate it. We would like to get our plans together over the winter and then be ready for construction with volunteer labor in the spring. Since you say you are going to build the amphitheater with volunteer labor, you probably will not have any paid staff responsible for maintenance either. This means you really need to design your amphitheater to be as low-maintenance as possible. 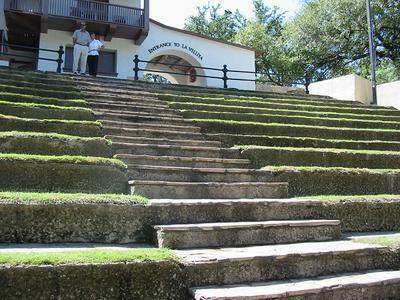 It looks like the grass strips at the Bush Library are wide enough to machine mow, and that would make them easier to maintain than the Arneson River Theater at La Villita in San Antonio. Good luck with your amphitheater as a splendid community improvement project.